The globalist financiers' prime goal in WWII was to destroy Germany in order to control it and thus control European integration. Also for their USSR to conquer as much of Europe as possible. they were already organizing the rize of their phoenix, the 4th Reich. 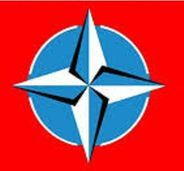 Today it is has become evident in the shape of NATO and the European Union. Behind their righteous facades it's governments are oozing with the satanic spirit of the "powers that be". Reality is not always obvious. NATO'S BETRAYAL OF GORBACHEV AND YELTSIN -AT SUCH A SACRED MOMENT AS THE DELIVERY OF THE USSR IN THE HANDS OF THE WEST FOR THE SAKE OF GLOBAL PEACE AND SECURITY- IS REGISTERED IN THE STARS AS ONE OF THE VILEST ACTS OF TREASON. The dissolution of the USSR was like lifting a veil on ultimate reality because it revealed that America and Israel are the true source of the state of war and injustice and evil in this world. Neither Gorbachev nor Bush wanted or expected to destroy the USSR. It was America's sparring partner and sole "raison d'etre" for the Military Industrial Complex and Nato. God became immanent in the collective unconscious of the Russian people and that marked the beginning of this tedious and protracted period of Exacerbation and Exposure/Extirpation/Extinction/Exorcism of the Global Deep State, the core of the brain tumor which afflicts humanity. "THOSE WHOM THE GODS WISH TO DESTROY REFORM THEY FIRST MAKE MAD"
SATANIC ORDER OF THE ILLUMINATI. THE EU'S SPIRIT (LIKE ITS ORIGIN) IS "NAZISM". NAZISM -JUST LIKE IT'S HEGELIAN COUNTERPART COMMUNISM- WAS CREATED, OWNED AND CONTROLLED BY THE GLOBALIST BANKERS AND IT IS VERY MUCH ALIVE TODAY. JUST ONE AMONG MANY PROOFS OF NATO'S NAZI SPIRIT AND PHILOSOPHY. 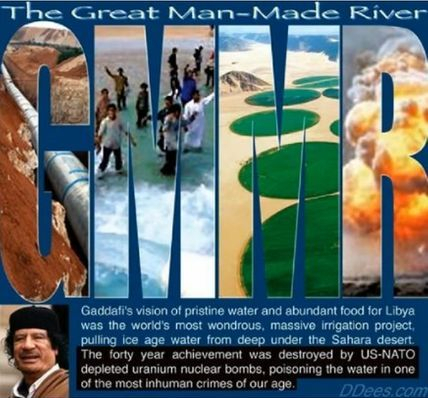 The wanton destruction of Lybia and of one of the wonders of this world. THE GLOBAL REVOLUTION AND THE GLOBAL CONSTITUTION WITH ITS MEASURES TO INHIBIT THE ABILITY OF THE ILLUMINATI TO CONTROL OUR LEADERSHIP ARE THE ONLY WAY FORWARD FOR EUROPE AND THE ONLY ULTIMATE SOLUTION. 2) depending on the outcome, the parliament (yes, that fig-leaf) should vote to respect the right of Donbass to self determination (for which they have paid dearly enough!!!) and the cessation of all hostile policies, sanctions and provocations towards Russia. The time has therefore come for Europe's reorganization. Until that process is initiated self-destructive forces will continue to be at play. ANGELA'S (BORN-DEAD) PLAN FOR A FASCIST POLICE STATE. CONSISTENT WITH THE ILLUMINATI PLAN OF JUSTIFYING A POLICE STATE AND DILUTING NATIONAL IDENTITIES THROUGH DECULTURALIZATION, ANGELA HAS BEEN INSTIGATING THE INVASION OF THE EU BY ILLUMINATI-CONTROLLED ISIS MILITANTS EMBEDDED WITHIN THE FLOW OF GENUINE REFUGEES. WHAT COULD AND WOULD BE DONE FOR THE REFUGEES (THE MIDDLE WAY) IF OUR POLITICIANS WERE NOT SOLD OUT TO THE ILLUMINATI? 2) SUPPORT RUSSIA'S EFFORTS TO ALLOW THE PEOPLE OF SYRIA TO CHOOSE THEIR LEADER IN UNITED NATIONS-SPONSORED ELECTIONS (True: who counts the votes counts more than the vote count). 2) THEN CONTRIBUTE TO THE REBUILDING OF THE COUNTRY - YOU BREAK IT YOU FIX IT. 4) SPEND WHATEVER IT TAKES TO TEMPORARILY LOCATE THE OTHERS IN SAFE AREAS IN OR AROUND THEIR COUNTRIES UNTIL IT IS SAFE FOR THEM TO RETURN. IT'S YOUR BABY YOU NURSE IT. 5) finally and getting down to the roots of it all: in order to kill the fighting spirit of ISIS: make all efforts to either enable the Sunnis to be properly represented in Iraq or -more pragmatically at this stage- negotiate a just partition or federalization of Iraq in which the resources would be evenly distributed or pooled. BUT IT IS VITIATED IN IT'S VERY FOUNDATIONS AND AT IT'S VERY TOP. DECLARE ITS INDEPENDENCE FROM AMERICAN IMPERIALISM. Hitler's defeat was orchestrated by the illuminati -who controlled him- because the ultimate aim was financial and economic control of Europe and the USSR. Zio-Nazism would remain powerfully embedded within the corporate world and hidden within the intelligence community of Europe and America as part of their shadow governments. Well before the end of the war the bankers were organizing the rise of their phoenix, the Fourth Reich, Nazi International. and they are still calling the shots in Germany and therefore in Europe. 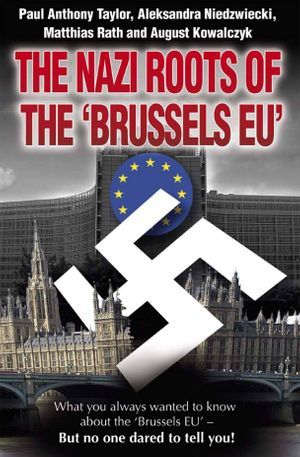 ZIO-NAZISM IN FULL CONTROL OF THE EU. Nazism was the Hegelian counterpart or sparring partner of Zionism. Together they created Israel and the European Union. The Nazis are quite at home within the CIA also: The National Security Act of 1947 and the corollary Project Paperclip, provided the CIA with the legal means of exonerating and importing over one thousand nazi mind-c0ntrol criminals and nuclear scientists into the United States. Himmler's satanic mind control operations morphed into the CIA's MK Ultra. Until recently George Herbert Walker Bush was the head of the Euro-American Black Intelligence Community. The intelligence community of America (at the core of it's shadow government) was invaded by nazi agents and possessed of their satanic spirit. The Nazi occult orders merged with the higher degrees of American Freemasonry and such orders such as Skull and Bones and produced the satanic spirit which prevails today within the CIA and the American Shadow Government. It was first manifested at Hiroshima, then, fully exacerbated and under Bush supervision at Dallas intensifying the blackness and bad karma of the deep state ever since. It is fully manifested today in Nato's behavior. Only now, in the age of aquarius and the internet are we the people acquiring the means to Expose the Fourth Reich and to Exorcise its demon. 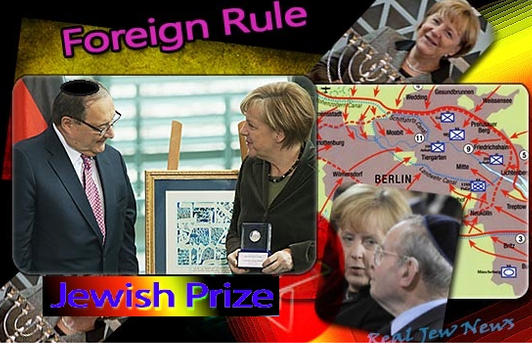 NAZI AND ZIONIST ROOTS OF THE EU - RECONSTRUCTING ITS FOUNDATIONS. The Author Kowalczyk was a slave worker at IG Farben's Auschwitz industrial complex. share of most other major multinational corporations. Excerpt from Nazi Roots of EU . "The answer to the question as to why you have probably not heard about these ground-shaking facts before is straightforward. After 1945, the Cartel invested hundreds of billions of dollars with one goal only: to rewrite history and cover its criminal past. This coverup, with regard to the corporate origins of two World Wars, was obviously the precondition for the Cartel’s third attempt – this time via the Brussels EU – at the conquest and control of Europe. Evidently, the Cartel interests had hoped to cement their control over Europe via the Brussels EU without these dark roots ever being exposed. However, this plan has failed. The publication of this book and the tens of thousands of authentic documents it references mean that the Brussels EU experiment is over. No democratic person, organization or party can possibly now support this third attempt at the conquest of Europe. The Brussels EU lacks the fundamental principle of ´separation of powers.` and the people of Europe have neither control over the Executive level nor over the Legislative process. Worse, the parliament they elect has no means of effectively controlling these branches either. To hide this impotence, Article 225 – the so-called ´Fig Leaf Article`– was inserted into the ´Lisbon Treaty.` This clause offers a possibility for the EU Parliament to “request the Commission to submit a proposal” for legislation. The Commission, of course, can simply refuse to do so. (See: http://europa.eu/lisbon_treaty/index_en.htm). This mimics the General Assembly's impotence vis a vis the Security Council. Operating outside the basic principles of democracy, the Brussels EU – by definition – is a dictatorship. The power of the people to determine their government has been transfered to corporate interests. The Brussels EU portrays itself to the world as a parliamentary democracy with the EU Parliament playing the decisive role. However, the executive decisions and the drafting of all legislation is carried out by the EU Commission and its staff of over 54,000 people. From their offices in the Commission headquarters – the Berlaymont building – and other locations, this paid army of career bureaucrats craft the laws of Europe on behalf of corporate interests. 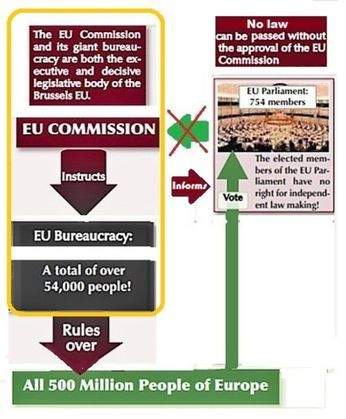 In contrast, the 754-member EU Parliament is composed of politicians from 27 nations who have no controlling power over this army of bureaucrats. ‘parliamentary democracy’ to the people of Europe. Over 99% of the population of Europe – numbering more than 500 million people – were denied the democratic right to vote on the ‘Lisbon Treaty’ in a referendum." If that reminds us of the UN Security Council's relationship to the General Assembly it's because they were both designed by the same people for the same purpose and they are both Called to be overhauled. Hallstein’s vision for a fascist European Union. On 23 January, 1939, in ‘Mahn and Ohlerichs Celler’, one of the largest convention sites in Rostock, Germany, Hallstein (founder of the EU) gave his notorious "Conquest Speech" which referred to the legality of the absorption by Germany of Austria and large parts of Czechoslovakia. He described the seizing of these countries as being part of “The Creation of the Greater German Reich” and the “Legal Germanization of the New Territories.” In other words, he was claiming that Germany had a legal right to make these countries a part of what he called “Greater Germany.” This philosophy also fits perfectly within Hitler's plan for a united Europe as proposed by his mentor Haushoffer. 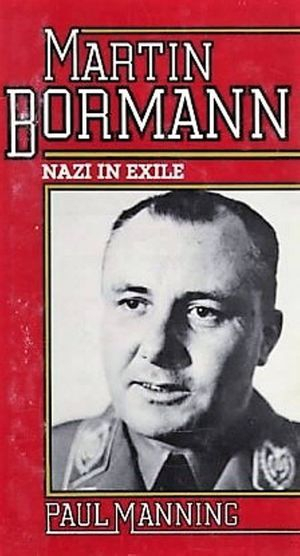 In his book, Europe In The Making, published in 1972, Hallstein proved definitively that his vision for a nazi European dictatorship hadn’t changed. He wrote that the European Commission is entrusted with what virtually amounts to a monopoly in taking the initiative in all matters affecting Europe. There are few exceptions to this rule, he said, and they must be removed at the earliest opportunity. “Every action starts with the [EU] Commission. “The Commission is the most original element in the organization of the European Community without any direct precedent in history. Instructions of the member States must not be given to nor taken by the Commission. …. How Germany's industrial cartels, centered around IG Farben were positioned to conquer Europe. demonstrating how the Nazis preserved their assets and positioned themselves for the economic conquest of Europe after the war. "Martin Bor­mann set up 750 cor­po­ra­tions in neu­tral coun­tries, and these became repos­i­to­ries for the liq­uid wealth of the Third Reich. Over­seas sub­sidiaries of key Ger­man cor­po­ra­tions were also cen­tral to the real­iza­tion of the Bor­mann assets. A break­down by U.S. trea­sury inves­ti­ga­tors of these new 750 Ger­man firms was as fol­lows: Por­tu­gal, 58; Spain, 112; Swe­den, 233; Switzerland, 214; Turkey, 35; Argentina, 98. A large percentage was dedicated to support Israel". "Over half of the total Ger­man cap­i­tal in Switzer­land was used in set­ting up hold­ing com­pa­nies rep­re­sent­ing I.G. Far­ben, Merck, Siemens, Osram, Henkel, and oth­ers. A hold­ing com­pany may not trade in any form. It may only hold stock in other com­pa­nies, but through this device the exist­ing Ger­man firms, and the 750 new cor­po­ra­tions estab­lished under the Bor­mann pro­gram, gave them­selves absolute con­trol over a post­war eco­nomic net­work of viable, pros­per­ous com­pa­nies that stretched from the Ruhr to the 'neu­trals' of Europe and to the coun­tries of South Amer­ica; a con­trol that con­tin­ues today and is eas­ily main­tained through the bearer bonds or shares issued by these cor­po­ra­tions to cloak for real own­er­ship". NOT-SO-GREAT BRITAIN IS ALSO AT THE HEART OF ILLUMINISM AND NATO'S NAZI SPIRIT. Close relationship between The House of Windsor, Adolph Hitler, The Nazi Party and Rothschild. King Edward VIII, was forced to abdicate the throne in 1938, due to his support for the Nazis but he was far from being the only one. The entire family since Queen Victoria is of German origin. Saxe-Coburg-Gotha is the family's real name: Queen Victoria was half German and she married her German cousin Prince Albert of Saxe-Coburg-Gotha and then in 1917 King George V (who was married to German Queen Mary), changed it to Windsor in order to camouflage the family's Germanity. Prince Philip, whose German name is Schleswig-Holstein-Sonderburg-Glücksburg, attended a Nazi boarding school. Three of his sisters were married to German SS officers. One of them, prince Christoff of Hesse, was an assistant to Himmler. 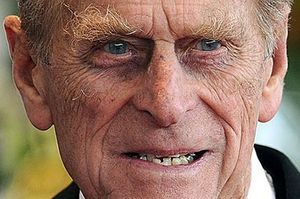 Phillip attended a Nazi boarding school and was later under the tutelage of Lord Montbatten (ex Battenberg, German) and throughout much of World War II, secret channels of communication were allegedly maintained through Mountbatten's sister (crown princess of Nazi Sweden) between the British royal family and their pro-Hitler cousins in Germany. It's also well-known that the British monarchy, and the City of London’s leading Crown bankers, enthusiastically backed Hitler and helped to build the Nazi war machine. Considering that the political map of the world has throughout history been a kaleidoscope of ever changing borders, and that the current map was drawn up capriciously by the 19th century imperial powers, why on earth should the United Nations now abrogate upon itself the power to freeze this irrational map in the name of stability? SELF DETERMINATION: together with religious confrontation, are the Illuminati's favorite toys to generate wars . The Un charter is sufficiently vague as to allow the elite countries to interpret it as they wish. It’s totally absurd to rely on the opinion of the mother country as we know the invariable answer (Scotland is an exception based on the perceived certainty of the outcome): what we need is a new set of norms and an ad hoc court in order to rule whether demands for autonomy, independence or accession are appropriate or not. They are warranted when: 1) if we were to redraw the world map today the region would be included in (or be) another country due to a distinct cultural, ethnic, linguistic, religious identity (e.g. Pashtunistan and Kurdistan) and/or 2) when there is a conflict of interests with -and its people are being abused by- the mother country (East Timor and imminently Crimea); 3) when the region has historically been either independent or a part of another country but changed its status accidentally or against the will of its people (Crimea). They are unwarranted when 1) the inhabitants are mainly immigrants (Kosovo, California, Florida); 2) the region represents the spiritual cradle of the country (Kosovo); 3) when such conflicts do not exist and the motivation for the independence is economic: e.g. the region is more prosperous due to greater natural resources (unless a system whereby the produce from those resources could somehow be shared with the host country); 3) when the court rules that the push for independence responds exclusively to imperial power politics (e.g. efforts by NATO to exscind Russian republics). The case of Crimea's rights is particularly strong not only because it was placed capriciously under Ukrainian jurisdiction by Kruschev within the USSR but in view of the fact that the Autonomous Republic of Crimea was established by the 1991 All-Union Referendum in which 94% of Crimeans voted in favor of re-establishing their status as an autonomous republic. This gave birth to The Constitution of 1992 that proclaimed Crimea a legal, democratic, secular state recognized by the UN, whose relationship with Ukraine was based on bilateral agreements. However, on March 17, 1995 Ukraine invaded and anexed Crimea and unilaterally abolished the Constitution. Where were the UN and EU then? And then, who anexed who? Crimeans repeated the vote in 2014 by an even higher percentage, and this time prevented another Ukrainian invasion by reuniting with Russia. Besides: Which of you leaders if you were in Putin's shoes, surrounded and threatened by an aggressive force would expose his only non Arctic port to conquest? ).